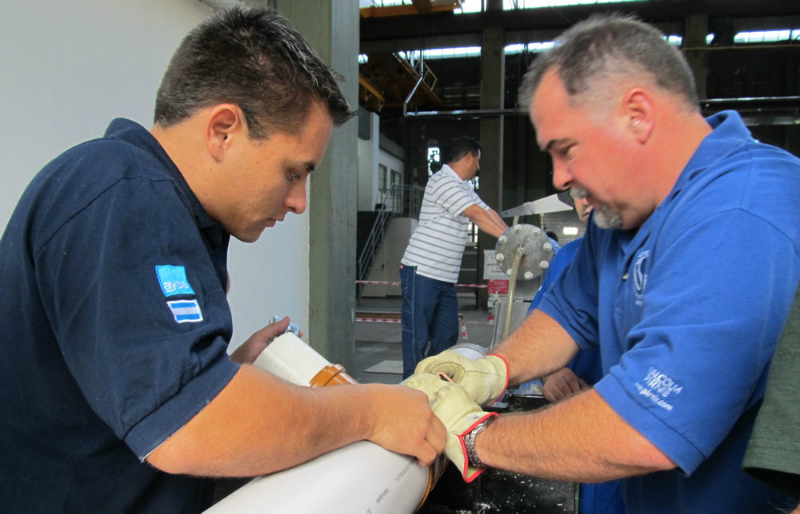 The U.S. Operations Challenge team competes in Argentina. Photo courtesy of Jeanette Brown, WEF immediate past president. Click for larger image. On April 19, veteran U.S. Operations Challenge competitors joined to compete against 20 teams in the 6th Olimpiadas Sanitarias in Buenos Aires, Argentina. 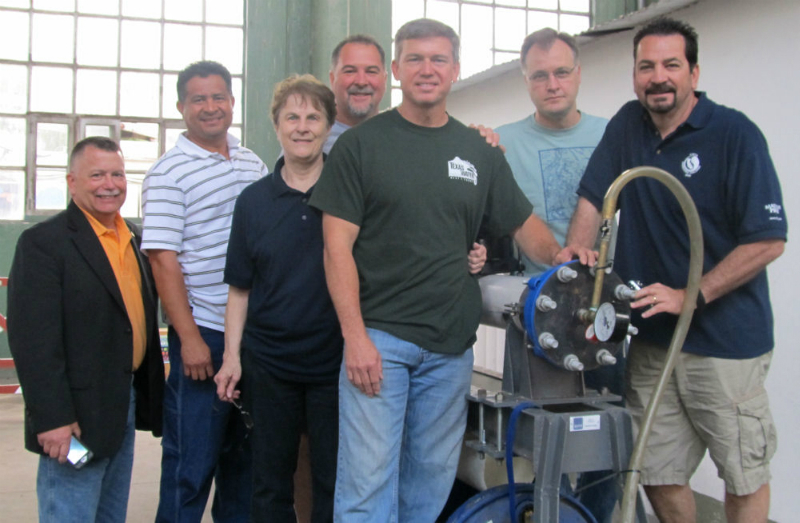 Team members attended the event not only as competitors but also as ambassadors. 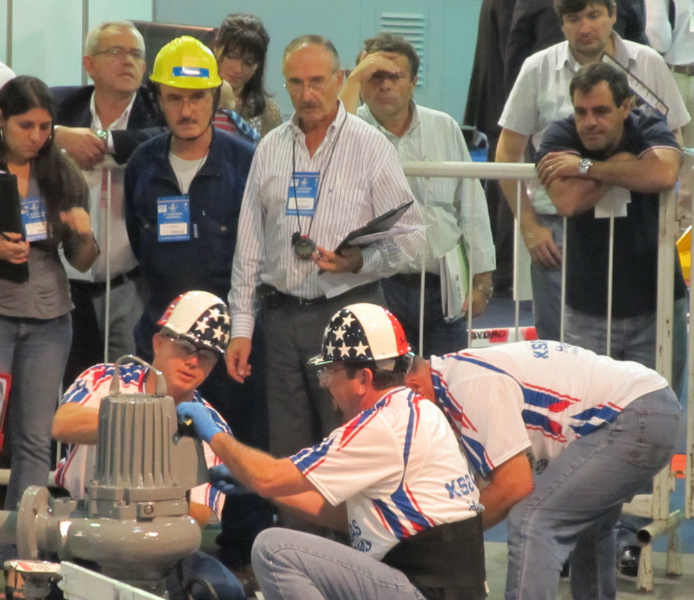 The competition, held as part of the 18th AIDIS Congreso Argentino Saneamiento y Medio Ambiente at the Costa Salguero Exhibition Center, is modeled after the WEF annual Operations Challenge competition, which showcases the skills needed to clean wastewater in the areas of collections, laboratory procedures, maintenance, and safety. 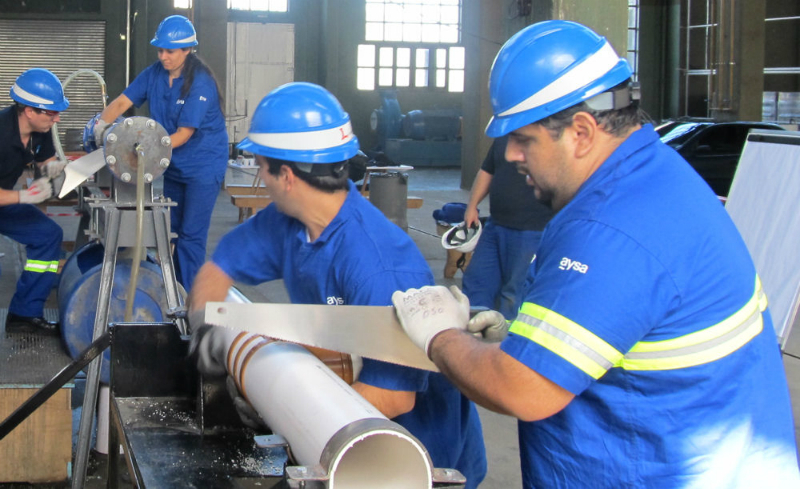 The WEF Equipo KSB–Hydro team in Buenos Aires included Dale Burrow of TRA CreWSers, Rey Davila of Dallas Aquatechs, and Paul Johnson and Jeffrey Valdes of LA Wrecking Crew. Also attending the event were Brown, WEF Board of Trustees member John Hart, and WEF staff member Steve Harrison. The team was able to travel to the competition because of support by KSB Inc. (Richmond, Va.) and Hydro International (Hillsboro, Ore.). The team placed sixth overall after having only a couple of hours to practice events that were different from those in the United States, Brown said. 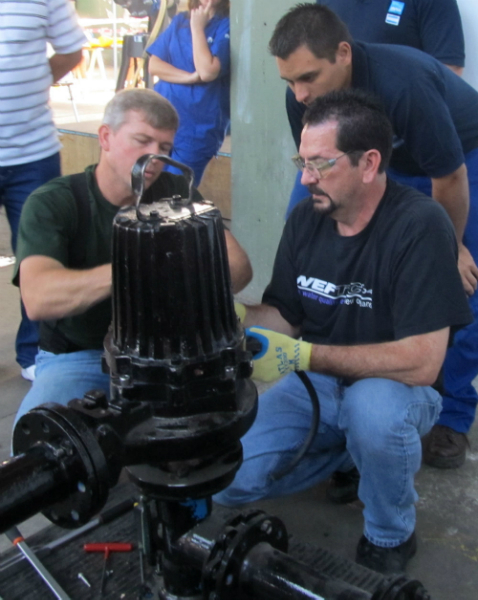 The WEF 2012 Operations Challenge competition will be held at WEFTEC 2012 in New Orleans.